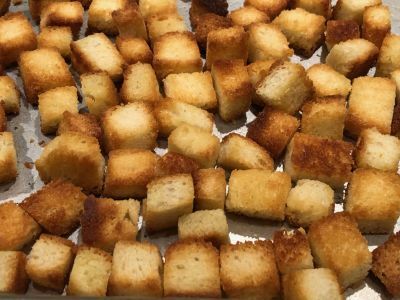 For these croutons, you prefer to use day old bread. 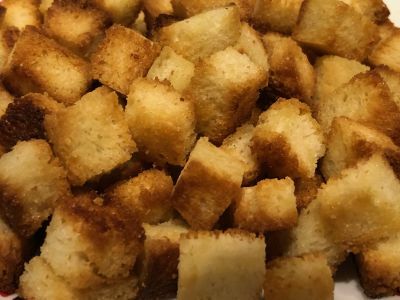 It can be any type of bread you like but the more flavor the bread brings to the table, the more it is going to influence the croutons. Typically they are made with day old French bread or artisanal white bread. 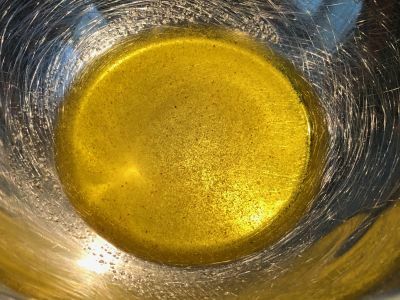 That is definitely the best and will allow the simple flavors to shine through. They are easy to make and a great way to use up leftover bread. 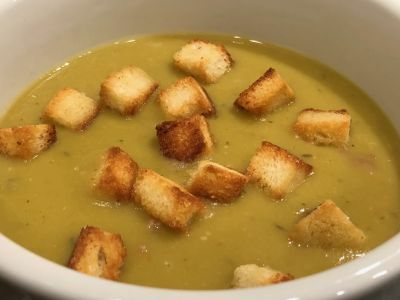 So whether you are using them on a Caesar Salad or in a nice hot bowl of Split Pea Soup, you have to make these. Enjoy! 1. 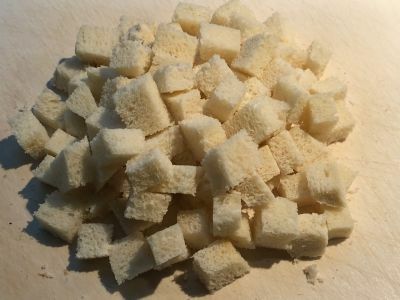 Add the olive oil, salt, garlic powder and cayenne pepper to a mixing bowl large enough to toss the bread cubes. 2. Mix well and let it sit for at least 10 minutes while you are preparing the bread and preheating the oven. 4. 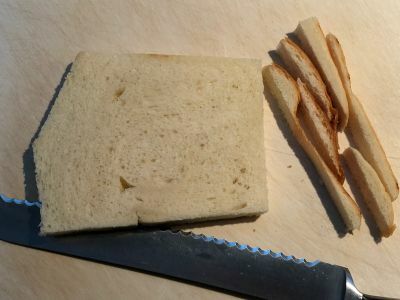 Trim the crusts off the bread and cut into 1/2 inch cubes. 5. 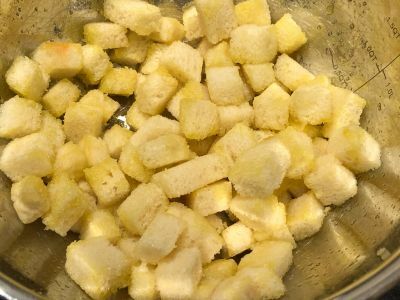 Add the cubes to the mixing bowl with the oil and spices and mix thoroughly to fully coat all the croutons. 6. 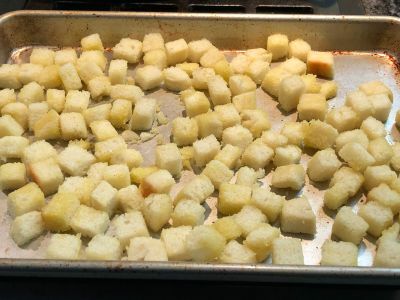 Place the croutons on a sheet pan with enough room so they don't stack up. 7. 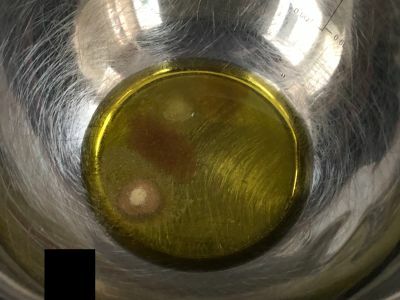 Place the sheet pan in the oven and cook for about 10 to 15 minutes or until they are golden brown. Toss them after 5 minutes and 10 minutes while cooking. Watch them carefully. You don't want them to burn. Also, if you want them crunchier, leave them in longer, less crunchy, take them out sooner. Also, I like to sprinkle them with a little sea salt right after they come out of the oven if I think they need it. Taste them first before doing that however. 8. 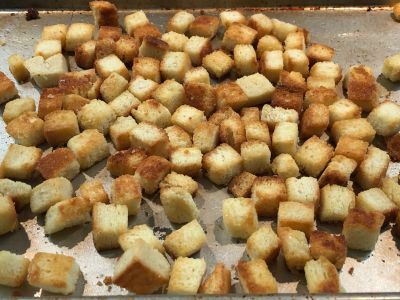 Below are two batches of croutons. 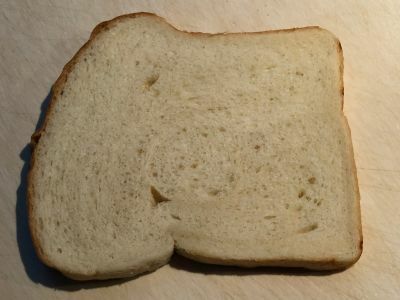 For the first, the bread cubes were left to sit out on the counter for an hour or two and they took 11 minutes to cook. The second were not allowed to sit out at all and they took 14 minutes to cook and were a little less crunchy than the first batch. So play with it and see which you like best. And they were both very good. Now they are ready to use on your favorite dish. So much better than anything you can buy in a bag at the grocery store!